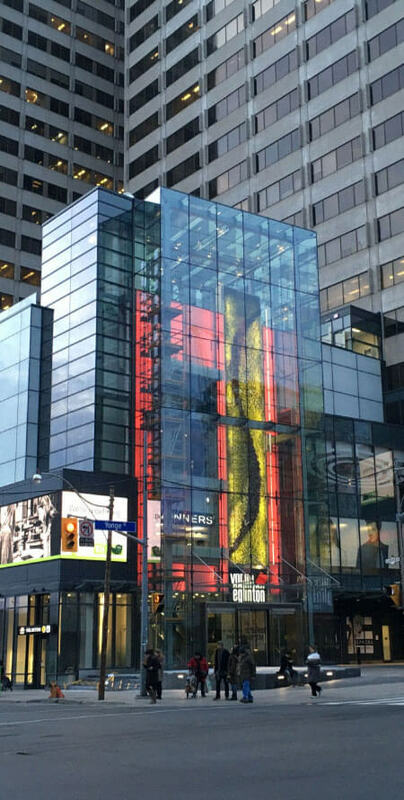 Recently renovated, Yonge Eglinton centre is a shopping centre and transit hub. The centre is home to a variety of shops, restaurants and other conveniences, including a Cineplex theatre and Metro grocery store. A new rooftop patio makes an excellent spot to enjoy the outdoors during the warmer months. 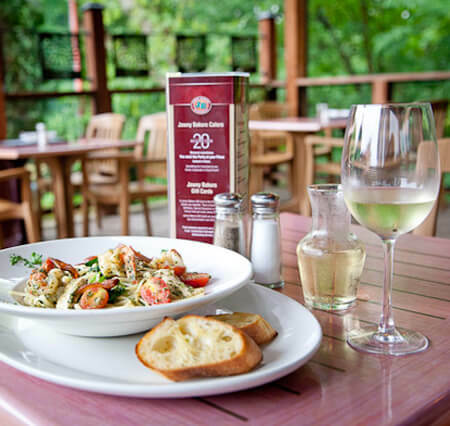 This neighbourhood favourite offers a diverse menu prepared with locally sourced ingredients. The wood-accented dining room is warm and inviting and a spacious heated patio is the perfect spot to enjoy a delicious meal with friends and family. Spanning over 440,000 square feet, Bayview Village is one of the city’s most prestigious shopping destinations. Over 110 luxury brands offer something for everyone, whether they’re a shoe addict, beauty product connoisseur, home decorating fan, or overall fashionista. 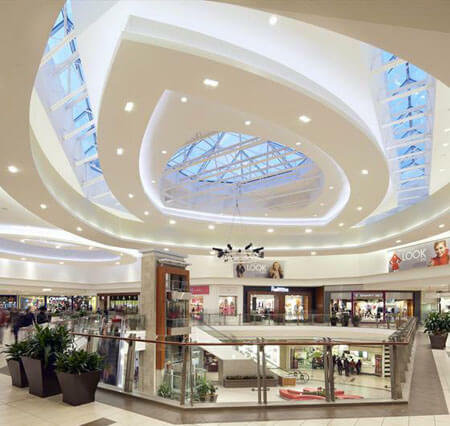 Shoppers can also enjoy valet parking, personal shopping services, Wi-Fi, and more. 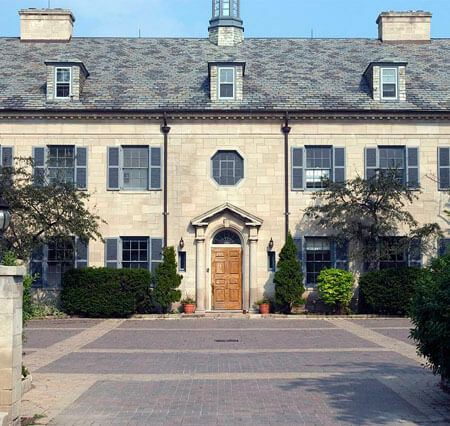 Established in 1913, Crescent School is a private boys schools for grades 3-12. The school has a reputation as leader in boys’ education and operates under the Advanced Placement program. 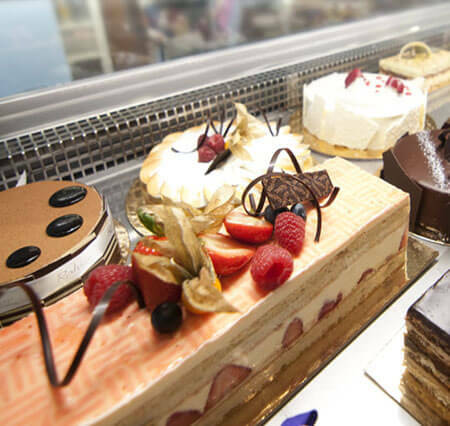 This warm and inviting patisserie offers a wonderful array of delicate French pastries, cookies, cakes, and more. Open since 1996, Rahier has become a favourite with the locals for its artisanal European fare. Delicate and colourful treats are sure to entice even the hardest of critics, and the famous croissants are said to be among the best in Toronto. The Aga Khan Museum features an exquisite collection of Islamic art, Iranian art, and Muslim culture. Its mission is to foster an understanding and appreciation of the contributions Muslim civilizations have made to world heritage. The permanent collection features more than 1,000 objects, and an ever-changing roster of exhibitions and events means there’s always something new to learn and discover. 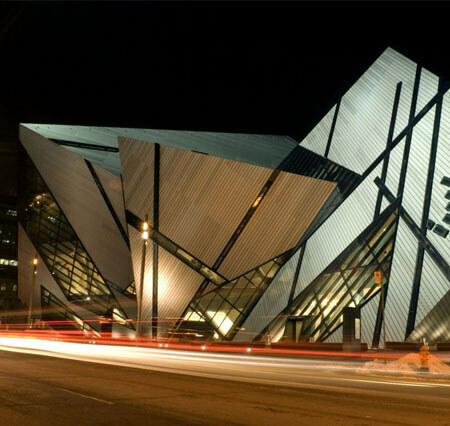 The Royal Ontario Museum is one of the largest museums in North America. Established in 1912, the museum boasts international recognition for its extensive collections of art, world culture, and natural history. With over six million objects in its collections, there is plenty for people of all ages to explore and discover. The world-class museum attracts more than one million visitors every year. 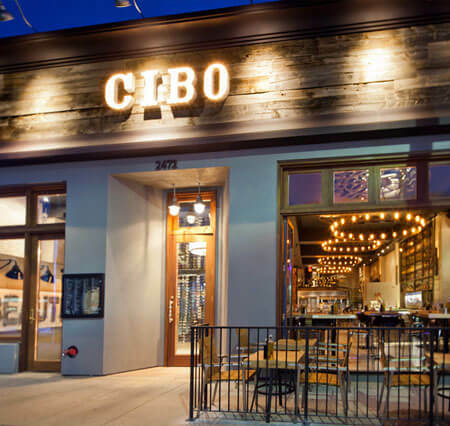 Cibo Wine Bar serves authentic southern Italian cuisine in the Uptown Yonge Street area. The large dining room blends rustic chic with modern industrial features. A soaring two-storey wine room holds over 2500 bottle of wine for a perfect pairing to every meal. 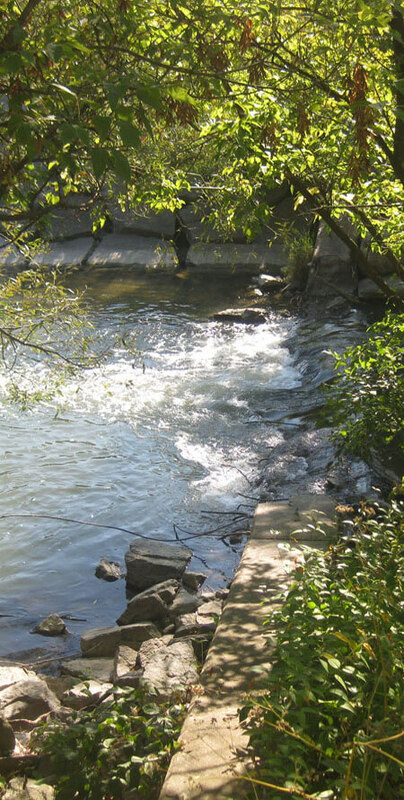 Named after the conservationist who co-founded the Don River Conservation Association, the Charles Sauriol Conservation Area is part of the East Don River Trail System. The trails are perfect for walking, hiking, and biking, and for enjoying the natural beauty of this urban park. 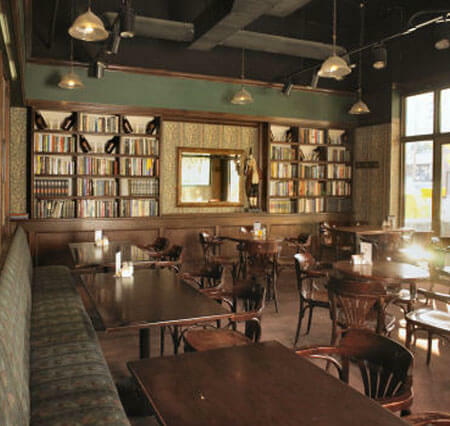 With locations in both Halifax and Toronto, this brewpub offers home-style and English inspired dishes along a selection of award winning ales. Serving the community for over 18 years, visitors can enjoy a collection of 10 handcrafted ales brewed on site. Two spacious patios and a private courtyard garden provide a quiet retreat from the city. 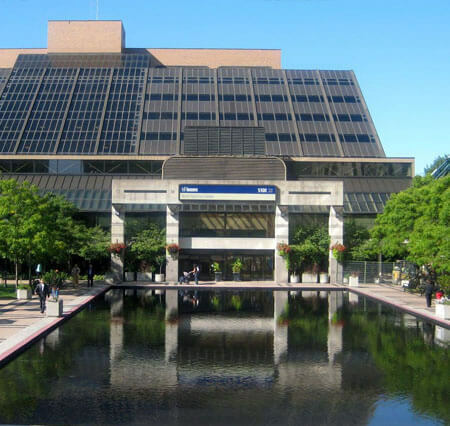 This public square located at the North York Civic Centre is the perfect spot to relax during the warmer months. An artificial stream, planters, trees, benches surround the space and create a soothing atmosphere while the large pool situated in the centre of the area exudes a calming aura. The square also hosts a variety of activities throughout the year. The Shops at Don Mills features 72 upscale retailers in an open air, lifestyle centre style layout. An exceptional collection of high-end brands and fashions, upscale dining, and entertainment come out to play. Highlights include Anthropologie, a Cineplex theatre, Joey’s West Coast Restaurant, McEwans Gourmet Market, where you can find freshly prepared meals, and much more. 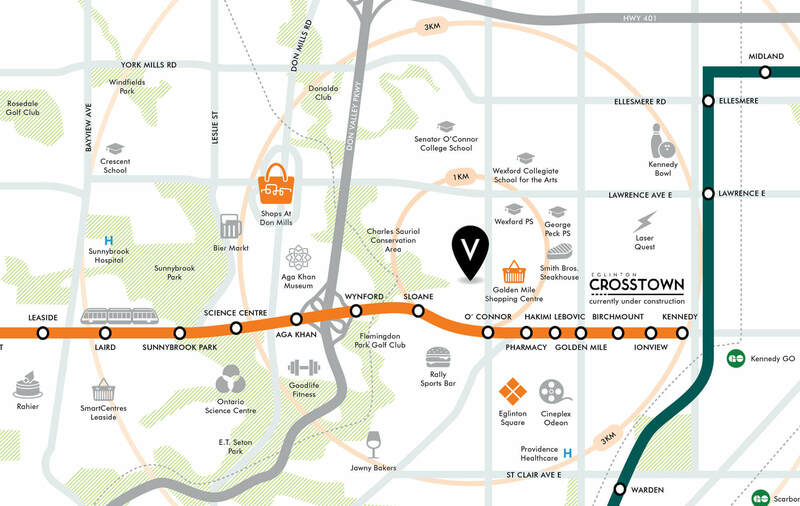 Spanning an enormous 900,000 square feet, Fairview Mall is one of Toronto’s premier shopping destinations. 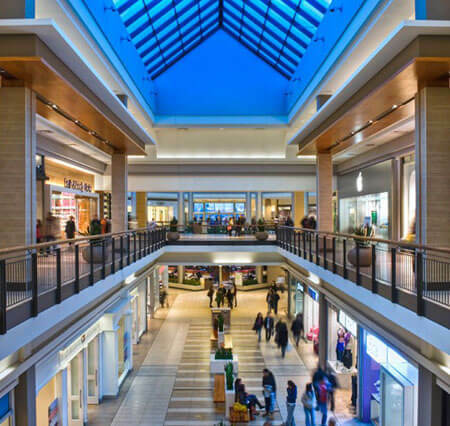 With over 180 stores and services offering affordable fashions to upscale brands, casual dining, and a cinema, Fairview Mall offers the ultimate in shopping and entertainment. Retailers include The Hudson’s Bay, Forever 21, Zara, Pandora, and more. 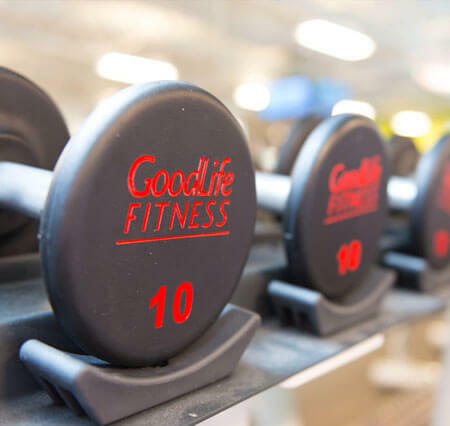 Goodlife Fitness is Canada’s leading gym and health club with over 300 locations across Canada. Top-notch facilities and amenities as well as a variety of fitness programs are available to help you reach your fitness goals. 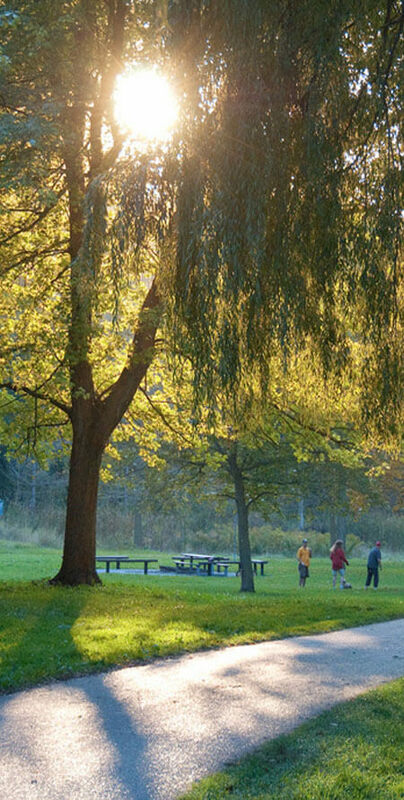 Beginning at Don Mills Road in the west and stretching towards Dawes Road in the east, Taylor Creek Park features picturesque landscapes and an extensive trail system perfect for biking and walking. Appreciate the outdoors and take in the sights and sounds of the trees, plants, and wildlife found at this park. 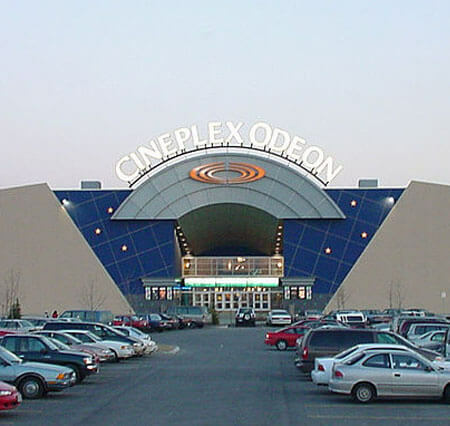 Cineplex Odeon is one of Canada’s largest entertainment companies and purveyor of cinematic fun. Catch all of the latest Hollywood films and independent releases at this Cineplex located at Eglinton Square. UltraAVX and 3D screens offer a premium movie viewing experience. Party rooms are available for booking birthday parts and other events. Spanning over 1 million square feet and featuring over 230 fashion retailers, restaurants, and more, Scarborough Town Centre is one of the city’s must visit location for all of your shopping needs. It’s one of the best places to catch all of the latest trends, and brands range from affordable and casual to high-end and luxurious. This upscale market offers over 150 beers with a menu of Belgian of seasonal dishes to share. Every item on the menu is designed to complement Bier Markt’s extensive beer selection expertly curated from over 30 countries. Forming the eastern portion of Toronto’s Waterfront, Scarborough Bluffs stands 90 metres over the coastline and is often described as a geological wonder. Stretching 15 km along the lakefront, the bluffs are naturally formed by wind and water erosion from Lake Ontario. 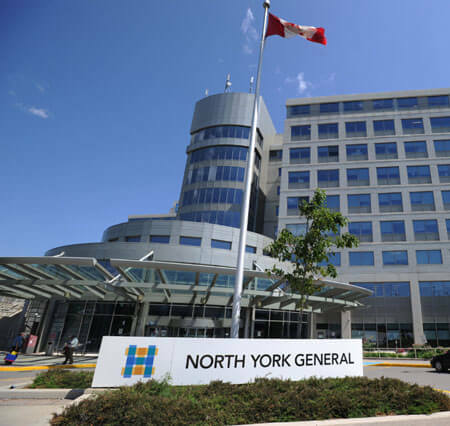 There’s no shortage of retail options in the area – from big brands along the Golden Mile shopping district to designer boutiques, fabulous dining and more at the Shops at Don Mills. You won’t find better shopping anywhere. 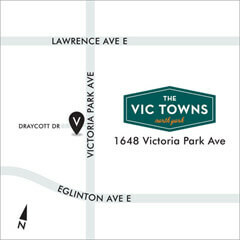 Eglinton Square is a 286,000 square foot enclosed shopping centre at Eglinton and Victoria Park. 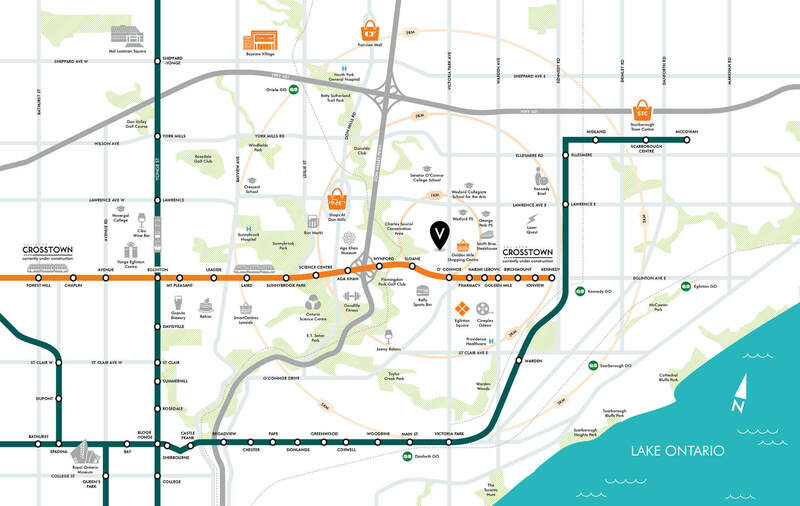 Anchored by the Bay, Shoppers Drug Mart and Metro, it’s both a shopping destination and community hub. The Eglinton Crosstown will have stops at its east and west ends, at Victoria Park and Pharmacy. Plus, the Cineplex Odeon Eglinton Town Centre Cinemas are right next door. Whether you’re shopping for the latest “it” bag or great kids’ clothes, this premium Cadillac Fairview property is the place you’ll find it. The mall features Michael Kors, Anthropologie, Coach, Banana Republic and other popular brands. And if you’re on the hunt for great food, the options are amazing. There’s delicious dining at Joey or Fabbrica and tasty grab-and-go fare at Mark McEwan’s gourmet food shop, with lots of other eateries to suit your mood and tempt your taste buds. Plus, if you’re looking for healthy, fresh-from-the-farm goodies, check out the summer farmer’s market – it’s on every Tuesday starting in June.